Hapsburg Absinthe Quartier Latin is a celebration of the colourful and vibrant bohemian lifestyle of the Parisian Latin Quarter . 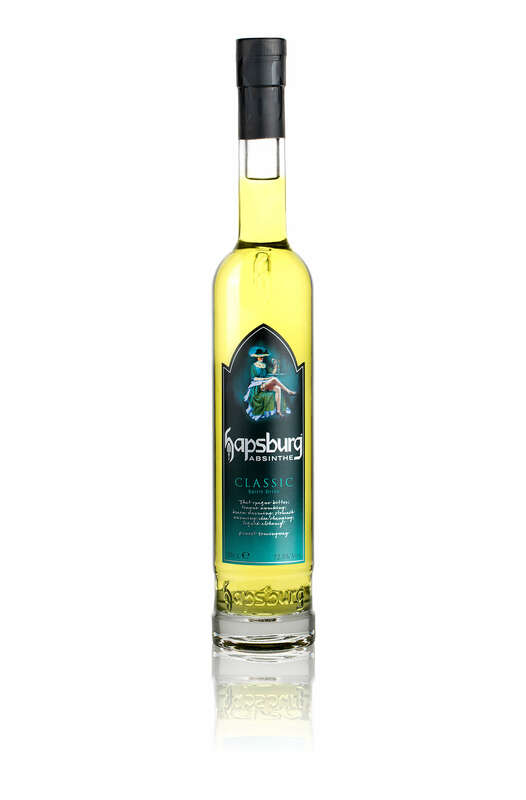 Lautrec who featured Absinthe in their work. Today the Latin Quarter of Paris, which is situated on the left bank of the Seine, remains as lively as ever with a strong student population and numerous cafés and bistros where Absinthe continues to be enjoyed in both a traditional and contemporary way. 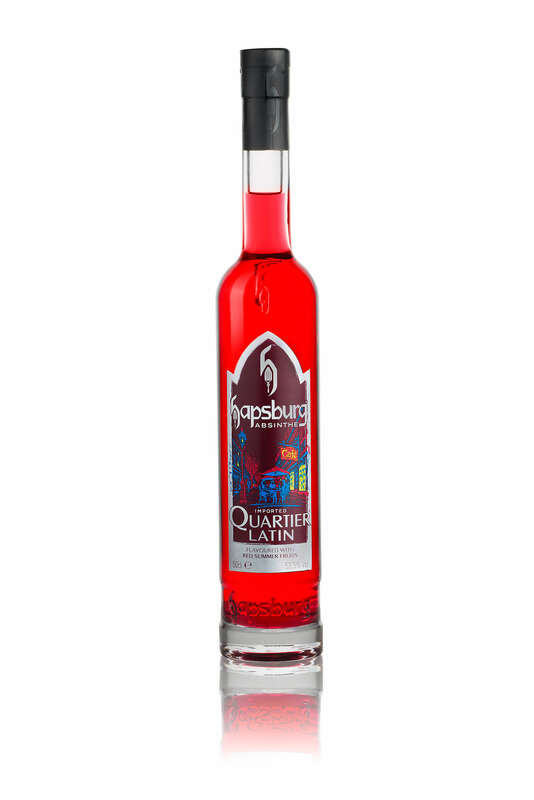 The Quartier Latin range is a lower strength flavoured absinthe available in Original natural green absinthe , Black Fruits of the Forest, Red Summer Fruits and Cassis.. Hapsburg Absinthe was one of the few pioneering brands to appear when the first resurgence of Absinthe took place. 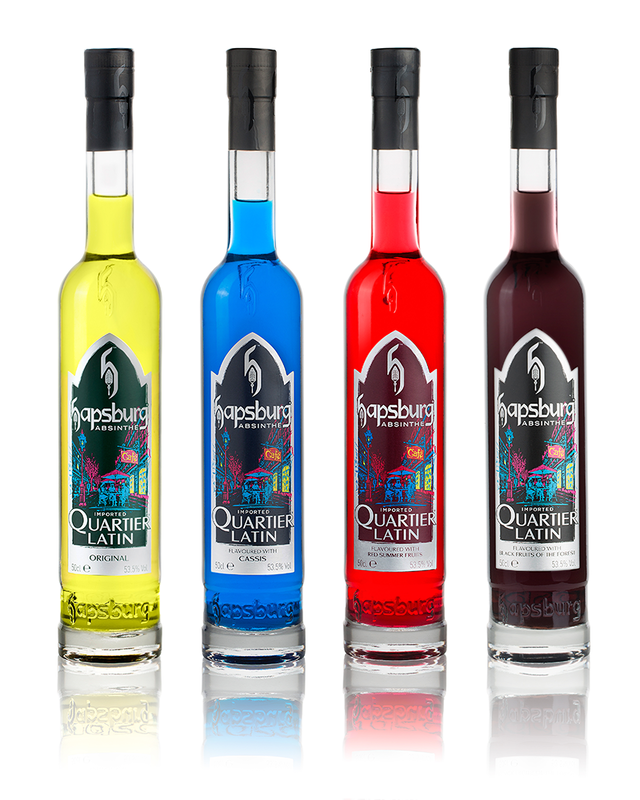 Hapsburg Quartier Latin Is perfect as a strong chilled shot or served with a mixer of choice. 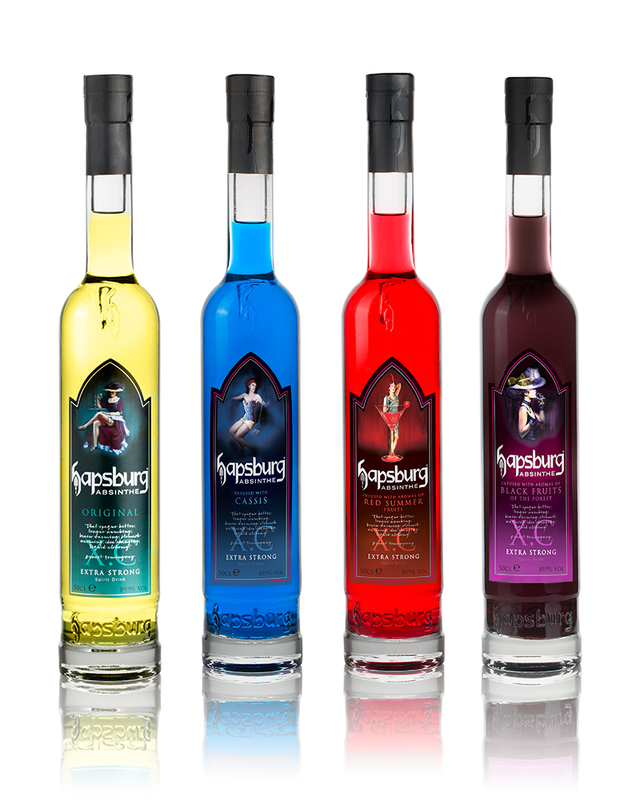 Black Fruits: This Fruity Absinthe is infused with Forest Berries to create an Absinthe which is more suited to a long drink and is a much lower ABV drink. 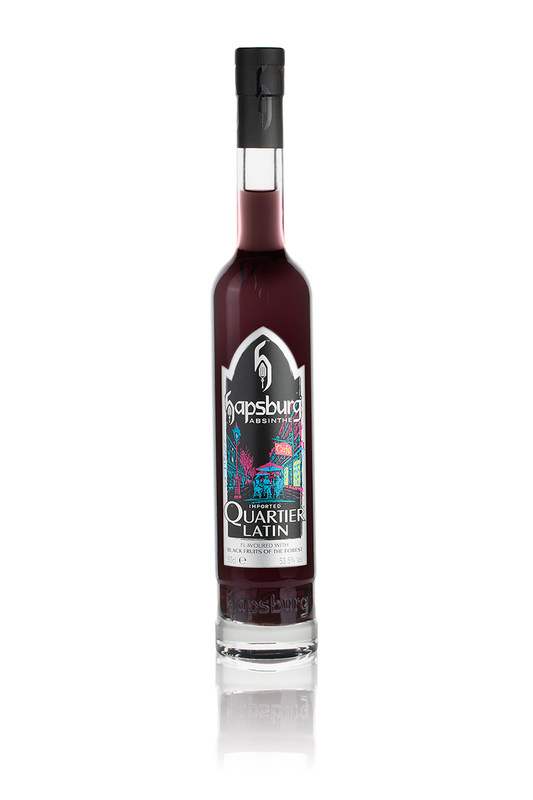 This allows a less overpowering taste to be created which is Fresh and has Bursts of Blackberries running throughout.